Digestive enzymes and cellular and system wide enzymes are extremely vital to human well-being. They play a critical role in digestion and nutrient assimilation, in immune response, cognitive acceleration, and cellular detoxification among other things (1). These systems battle for enzymes to utilize within our body. Enzymes are some of the most important structures in the body. They are long-chain proteins that take on specific shapes and act like a key to unique locks throughout the body. Their job is to carry out very specific functions throughout the body. 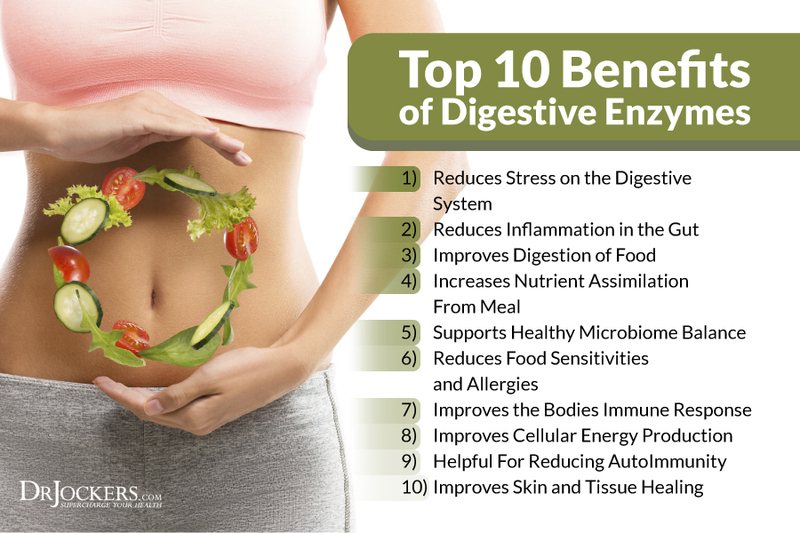 Here are 10 benefits of digestive enzymes and how they improve your inflammatory levels and overall energy. When enzymes are damaged they are no longer able to carry out their unique processes and they become another foreign protein in the body. These foreign proteins are recognized by the immune system as a possible hazardous invader. The body may then trigger an immune response and create inflammation (3). All processed and heavily cooked foods contain an abundance of denatured enzymes (4). These are highly allergenic in the body and create a massive assault on the body. These processed and irritated foods also depend upon good enzymes from the body for digestion. So these foods, in essence, steal enzymes from our system. Other lifestyle factors that utilize a significant amount of our bodies’ enzymes include exposure to air pollution, medication usage, insufficient sleep, relational stress and financial stress. Most people in our society are living under these conditions on a daily basis and this is causing an enzyme deficiency in their body. Additionally, poor food combining can utilize more enzymes than necessary. This would include eating grains or starches like potatoes with proteins (such as a turkey sandwich, pizza or meat and potatoes). Most Americans have starch and protein at every meal, which puts stress on the digestive system and drains our enzyme reserves. To create an enzyme surplus in your body you will want to incorporate a diet high in raw and living foods. The optimal nutrition plan should be at least 75-80% raw and living foods with 20-25% high quality cooked foods. Healthy cooked foods would include brown rice, quinoa, sweet potatoes and cruciferous vegetables. Cruciferous veggies are great to steam as boiling will steal valuable water-soluble nutrients. Steaming these veggies breaks down the outer cellulose wall that is challenging for the digestive system to metabolize (5). This actually makes the food more bioavailable. Organic and grass-fed animal products are to be cooked in a medium-rare fashion. This will break down the thicker proteins but keep much of the powerful nutrition still intact. Fresh squeezed lemon and apple cider vinegar should be added to any cooked food and especially to meat in either a pre/post cooked marinate or just before serving. Lemon and apple cider vinegar provide organic acids, enzymes, probiotics and anti-oxidants that help to pre-digest the cooked meal and neutralize any free radical formation. To boost enzymatic potential it is essential to soak and sprout all grains, seeds, nuts & legumes. The practice of soaking, fermenting and sprouting breaks down challenging proteins and activates key enzymes that improve the bioavailability of the nutrients. Sprouted legumes, seeds, cruciferous veggies and nuts are basically a pre-digested food that has unlocked its full potential of enzymes and nutrients. 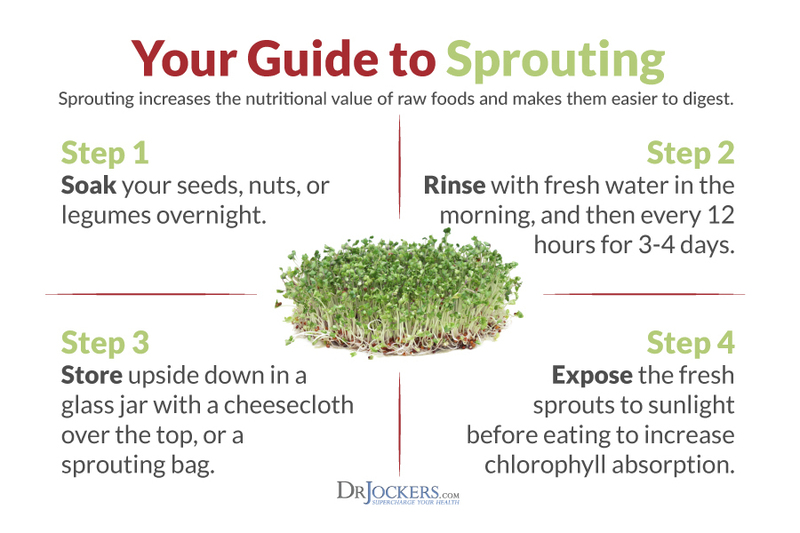 Broccoli sprouts may be the most nutrient dense foods on the planet. The fermentation process unlocks huge nutrient potential within the seed. Sprouted foods have five to ten times higher B vitamins, double the vitamin A, vitamin C, zinc, calcium and iron content of its pre-soaked and sprouted counterpart (6). The enzymes will also make the protein much more bioavailable for consumption. Incorporating fermented foods and drinks is another great way to boost enzyme load. Great fermented drinks include coconut kefir, raw whey, fermented berry & grape drinks, kombucha, amasai, goat milk kefir, etc. Sauerkraut, kimchi, and fermented veggies are also great resources for enzymes. Intermittent fasting and incorporating fermented drinks are especially important parts to creating an enzyme surplus. Fasting for periods of 16-48 hours each week or month allows the body to catch up in its enzyme processing. Digestive enzyme supplements are extremely helpful and often necessary for certain individuals for a period of time. I personally use digestive enzymes whenever I am going to have a big meal. I notice better digestion, more energy, less digestive stress, gas, etc. when I use enzymes. One of my favorite all-purpose digestive enzyme is Super DZyme. 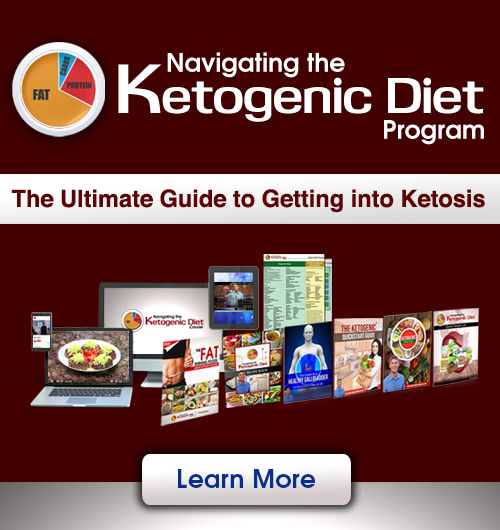 1) Includes a Wide Variety of Enzymes: Many different enzyme subtypes to give a wide array of effects and address all digestive enzymatic effects. 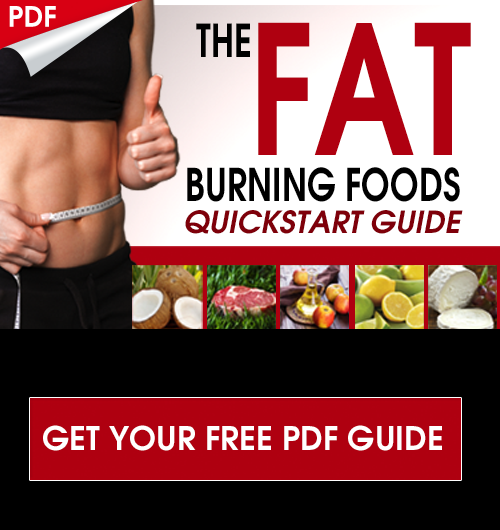 This includes carbohydrate metabolizing enzymes, proteolytic enzymes and fat- metabolizing enzymes. 2) Functions in a Wide pH Range: There are significant pH ranges in the stomach and small intestine. These enzymes are formulated to survive and thrive in a number of different ranges. 3) BioAvailable Enzymes are Key to Reducing Intestinal Stress: Intestinal stress is a major contributor to the formation of leaky gut syndrome. Bioavailable enzymes reduce the stress on the gut and improve nutrient absorption. Enzymes are proteins that enable chemical reactions in the body, for example, chemical reactions, such as metabolizing food, and other catabolic and anabolic reactions in the human body. What do you do if you have a compromised digestive system and raw foods are hard to digest? I have allergies to most raw fruit and vegetables and I find digesting cooked green vegetables a big problem too. I also have problem with fructose so avoid fruit for this reason. At moment I can only tolerate cooked animal products and root vegetables. Avocados are the fruit I can eat raw and even then I have take digestive enzymes in capsule form to help digest the fat. Apparently geltain/collagen can aid digestion, such as bone broth. Also eating sauerkraut with every meal supposedly aids digestion. hello – can you tell me what gelatin is a good product to buy from the grocery store – I am always thinking jello but I don’t think that’s what everyone is referring to ? Laura – What is being discussed by the others is actual gelatin itself. What I personally use when it comes to gelatin would be the Great Lake’s Beef Gelatin. This can be ordered online, and it is often found at your local super center. Here’s an amazon link, I hope it helps! God Bless! It sounds like Lily is having absorption problems. My sister had the same but is gradually coming good by taking liposomal vitamin c and bone broths. She let herself go until she had stage 4 adrenal fatigue. The longer you leave it the longer it takes to overcome. Although my digestive challenges are not as severe as Lily’s, I recently learned of a home test for absorption which I readily failed. I have been told I have adrenal fatigue through saliva and urine testing but I’m not at all aware of “stages” of it. How does one learn of such information? Regular physicians have not been helpful, not even a geriatric physician helped me check into my weight loss. I do not use prescriptions (drugs), try to eat as much raw, organic foods/ shop farmer’s markets since cannot do much gardening (on lot sloping north with many trees and rocky soil), have good appetite and sleep well, etc. This article from Dr. Jocker tells me I need to do even more…like soaking seeds and nuts. I ferment cabbage but need to do more foods and drinks. Adding lemon juice or apple cider vinegar to all cooked foods is a new thought to me to incorporate. I have not done anything about it, but know grass-fed whey is best for gaining weight. I added Betaine HCI prior to meals; unfortunately the product I purchased is manufactured with magnesium stearate (learned too late of this drawback)…so am trying another manufacturer but the first product was 648 mg…while what I bought yesterday is 350 mg with pepsin. Any advise would be welcome. Thanks. Hey Sondra, to find out how much Betaine HCL you need simply try a single dosage of the 350 and see what you notice after eating. If you feel sluggish, double the dosage, and continue to double the dosage until you feel good after eating a protein based meal. Blessings! I really do have to wait till after the holiday, but giving myself a big gift.I would like to know more about items and nutrients that he the immune system , and know more about Addison disease and what is know about it.Thank you. Wouldn’t this cause more heme iron to be absorbed from the meat? I’ve read this may not be a good idea for some. Hey Aaron, Great question! Vitamin C does increase iron absorption. I don’t typically recommend consuming red meat more than 2 or 3 time a week. I do notice that many people have high iron levels and unless you are a menstruating female, donating blood a few time a year can help keep this in check! My dr has suggested PLASIL with ENZYMES tab, is it ok??? I’d like to know if I can take Proteo Enzymes at the same time I take Apple Cider Vinegar or at the same time as Beta Glucan, NAC, herb capsules, etc? I’m on many supplements due to having reactivated EBV, and possibly SIBO and leaky gut.. also still ruling out Lyme/Mold Illness..
high lipase level. Also very thin need to gain weight.